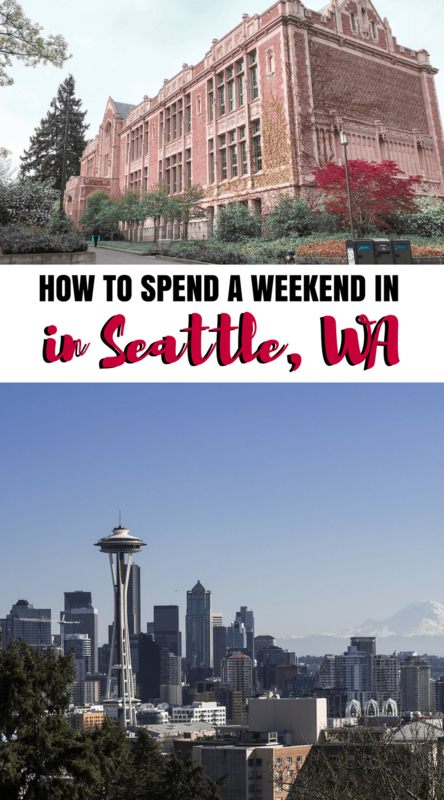 If you’re going to Seattle for a weekend [or you have been sent on a business trip just like me], I hope this post helps you to organise your free time and decide what to do during a weekend in Seattle. First of all, don’t expect too much from Seattle. Just enjoy it! If you’re an international traveller coming from Europe, you shouldn’t have too many expectations in terms of architecture and leisure. Seattle isn’t like NYC, for example, and there are not that many museums and other things to do in the city. However, what is amazing in Seattle is the nature around it. I just wish I had a car during my business trip – the forests, the natural parks and even mountains looked so appealing. If you don’t have a car, getting there would be almost impossible. Good news: you can rent a car! However, for that, you need a driving licence (I have one, but I don’t drive). So, stories aside and let’s talk about the best things to do in Seattle during a weekend. 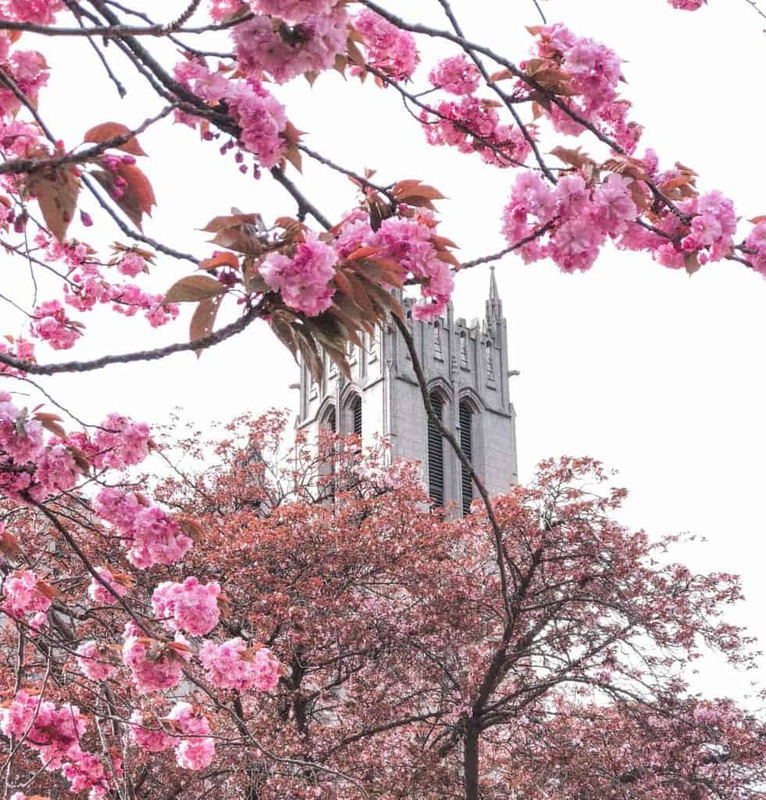 If you’re visiting in early spring, you’ll have a chance to see the wonderful cherry blossom alley located just at the campus of the University of Washington. I visited Seattle in April, so they alley was already gone, however, other trees were blooming. The weather in Seattle might be unpredictable and a bit tough, but the campus of the University of Washington is beautiful with any weather. It’s easy to get there: just take the Link Rail to the Alaska Stadium or check any bus that leaves from your starting point. Space Needle is probably the most famous attraction in Seattle. Try to visit it on a bright and sunny (or at least not rainy day), as when it’s foggy, you won’t see anything most probably. At the Space Needle, you also have a chance to participate in some VR activities, e.g bungee jumping, which is incredible! 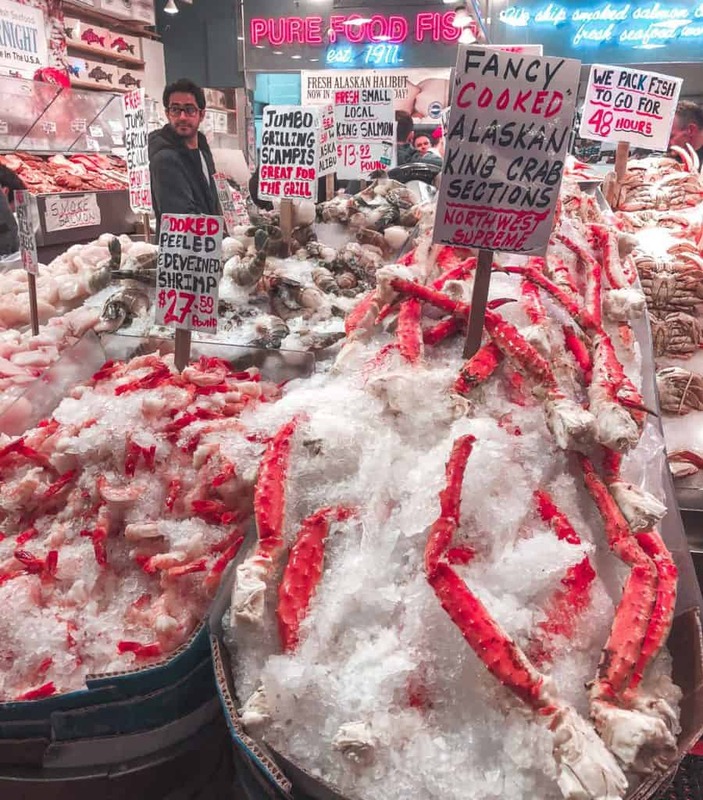 Pike place market is a really great market located in the heart of Seattle. It’s a place to go if you need fresh fish, crab or oysters. Everything looks really fresh and appealing. There are plenty of stalls, cafes and restaurants located at or around the market, so you can easily spend there a couple of hours. 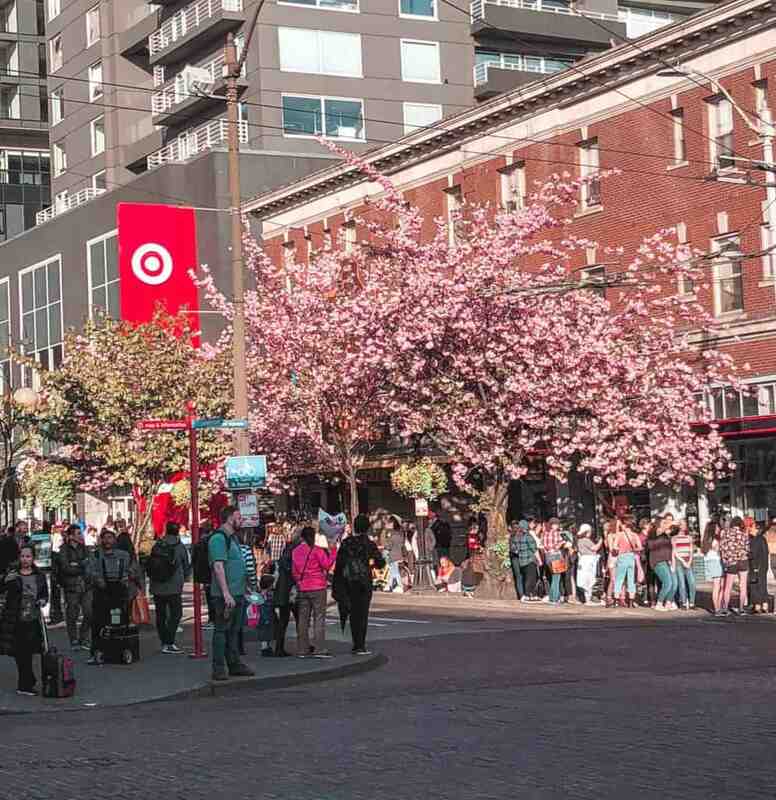 Seattle has two large outlets, one of which is from the same company as the famous Sawgrass Mills in Florida (I was honestly so impressed by the Sawgrass Mills, that I even wrote an entire post dedicated to Sawgrass Mills – you can find it here). The outlet is called Seattle Designer Outlets and you can find some pretty great bargains there. If you don’t have an option of going outside Seattle, you can visit some spots in the downtown. For example, I bought a FURLA bag in the outlet of SAKS 5th Avenue in Seattle downtime. Another option to look at is Nordstrom Rack and Macy’s. As I already mentioned above, the best part about Seattle is its beautiful nature. 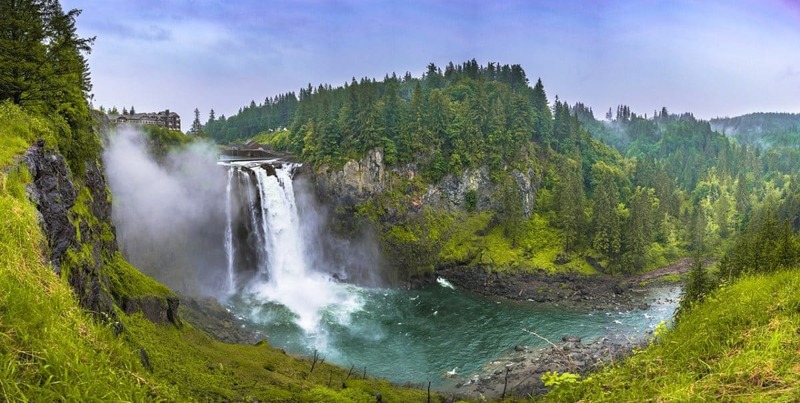 There are quite a few national parks located not so far away from Seattle, so if you have a chance to rent a car (and some free time as well), I suggest you go! If you don’t want to drive – there are some tours that could take you there. 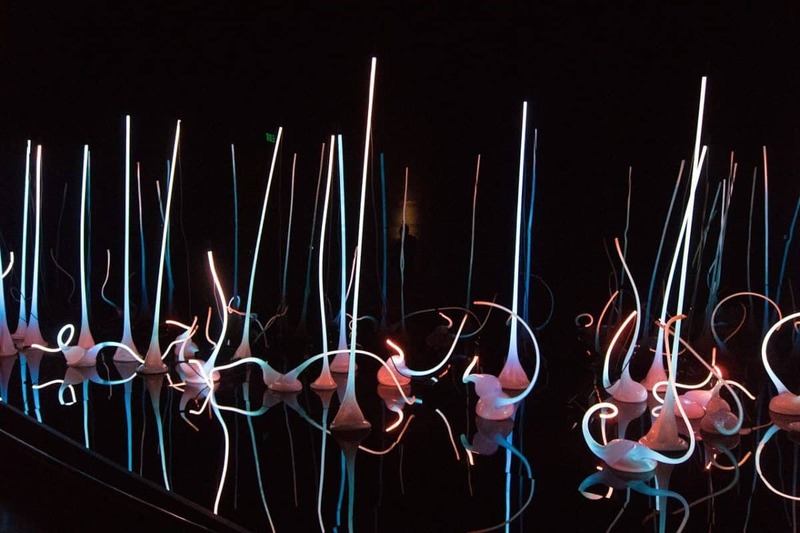 Another remarkable spot that you can visit during a weekend in Seattle is Chihuli Gardens. This is a unique art museum that is super colourful and interesting to visit. So if you have a couple of spare hours, you should visit it. Did you know that Starbucks originated in Seattle? Now you know. That explains Starbucks being literally on every corner in Seattle! There are even standings Starbucks cafes – literally with no seats! 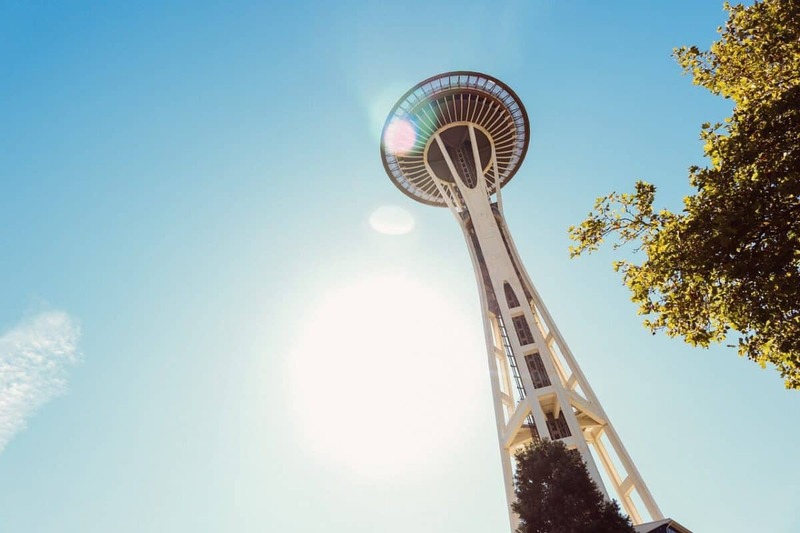 Seattle has plenty of amazing tours to offer – you can check some of those displayed below! 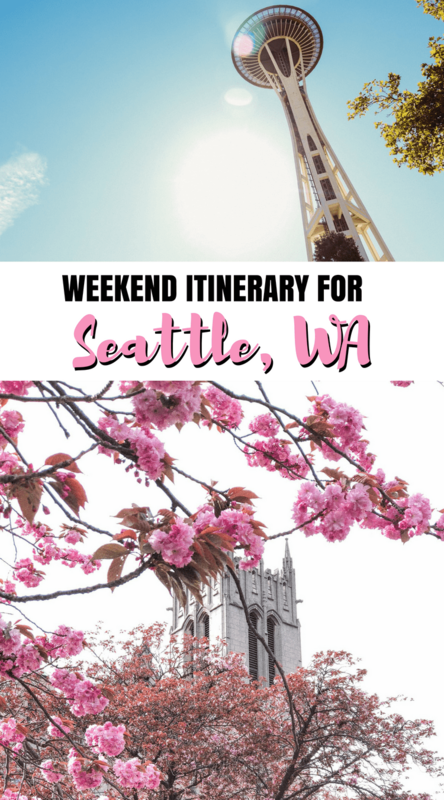 So here, in a nutshell, were the best things to do during a weekend in Seattle! Do you know any other great things to do in Seattle during a weekend trip? Comment them below! Liked this post about the best things to do in Seattle? Share it on Social Media!